By Miriam Valverde on Wednesday, March 20th, 2019 at 4:07 p.m.
Julian Castro, a Democratic contender for the White House, criticized President Donald Trump’s budget proposal for the next fiscal year, claiming it cut health care spending to make up for tax breaks for the wealthy. "A President’s budget is a statement of values. The #TrumpBudget slashes investments in health care to pay for tax cuts to billionaires. We need new moral leadership," Castro tweeted March 12. 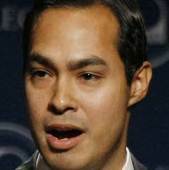 Castro served as secretary of the Housing and Urban Development Department in the final years of the Obama administration and was the mayor of San Antonio, Texas. Is he right about the budget proposal? Trump’s 2020 budget asks for less money for the health department compared to 2019. But there isn’t a direct connection between recently passed tax cuts and the proposed reductions. 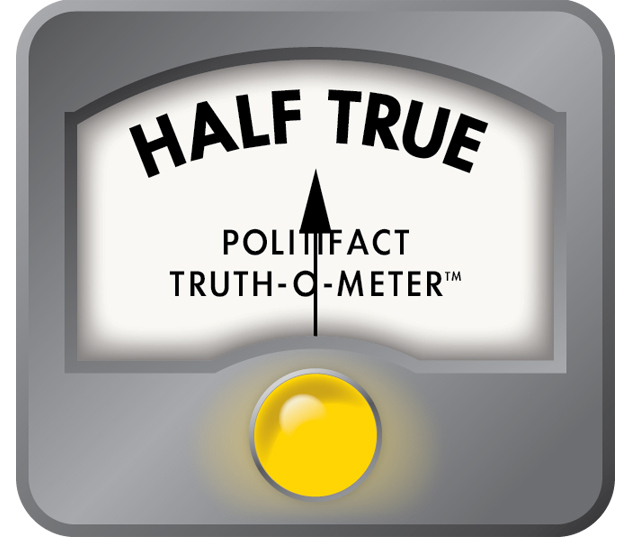 Castro’s campaign did not respond to PolitiFact’s request for more details. Castro’s tweet linked to a March 11 Washington Post story that said Trump’s budget sought "a sharp slowdown in Medicaid spending as part of a broad reduction in the government’s investment in health care." The story said the budget proposed decreasing funding for the Health and Human Services Department; slowed spending on Medicare with cuts that "could be construed as between $500 billion and $600 billion;" "a cut of nearly $1.5 trillion in Medicaid over 10 years;" and the addition of $1.2 trillion for state block grants or per-person caps starting in 2021, after a restructuring of Medicaid. The story does not examine whether the proposal, as Castro tweeted, would "pay for tax cuts to billionaires." Trump’s fiscal year 2020 budget proposal asks for $87.1 billion in discretionary funding for the health department. That’s a 12 percent decrease from 2019. There is a notable change for Medicare, the program that provides health coverage for seniors age 65 and older and for certain younger people with disabilities. The Medicare reduction mostly comes from cuts to health care providers, not to beneficiaries directly. The Committee for a Responsible Federal Budget, a group that is hawkish on the deficit, said in a blog post that cuts to providers "could impact quality of and access to care on the margins," but would mainly make Medicare work more efficiently. The story is different for Medicaid because the proposed changes would directly impact beneficiaries. Medicaid provides health coverage to low-income Americans, and pregnant women, seniors and people with disabilities who meet certain criteria. The Affordable Care Act expanded Medicaid eligibility to low-income adults. States could choose whether to participate in the expansion. Trump wants to repeal that expansion and give states more control over the program. The budget proposes Medicaid funding through a per-capita cap or block grants to states. The budget would reduce Medicaid funding by $1.5 trillion over 10 years and eliminate $500 billion in subsidies that help lower-income people purchase coverage in the ACA marketplaces. It adds $1.2 trillion for grants to states over that 10-year period. In total, the proposed budget cuts to Medicaid and ACA coverage programs amount to about a $777 billion Medicaid reduction over 10 years, according to Aviva Aron-Dine, vice president for health policy at the left-leaning Center on Budget and Policy Priorities. The proposed Medicaid changes would likely result in coverage and benefit reductions, said Marc Goldwein, vice president of the Committee for a Responsible Federal Budget. Do these health care reductions pay for the tax cuts? Our analysis of the 2017 Tax Cuts and Jobs Act found that every income group is expected to pay less in taxes in 2019, but the benefits of the tax bill flow disproportionately to wealthier taxpayers. Some of the individual tax cuts phase out in 2025 for lower-earning income groups. By 2027, every income group below $75,000 sees a tax increase, our analysis said. While spending cuts can be seen as a way to compensate for tax cuts, there isn’t a direct link between the proposed health care cuts and the recently passed tax law, experts told us. "The existence of tax cuts may put more pressure to cut Medicare and Medicaid," Goldwein said. "But any relationship is indirect." Castro said Trump’s fiscal year 2020 budget "slashes investments in health care to pay for tax cuts to billionaires." Castro’s choice of word, "slashes," is subjective. There’s some truth to Castro’s about health care reductions, since Trump’s proposal decreases the health department’s budget. The plan calls for a restructuring of Medicaid that would likely lead to reduced coverage and benefits. The budget also reduces future Medicare spending, but that mainly affects health care providers, not beneficiaries. It’s misleading to say that the health care changes pay for tax cuts to billionaires, because there isn’t a direct link between them. It’s also worth noting that while in the long-run the tax cuts remain in place for higher earning individuals, every income group on average is expected to pay less in taxes in 2019 because of the tax law. Castro’s statement is partially accurate but leaves out important details. We rate it Half True. Published: Wednesday, March 20th, 2019 at 4:07 p.m.